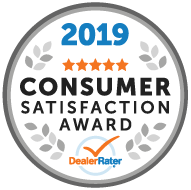 Davis Chevrolet GMC Buick is a proud sponsor for numerous organizations in Alberta. 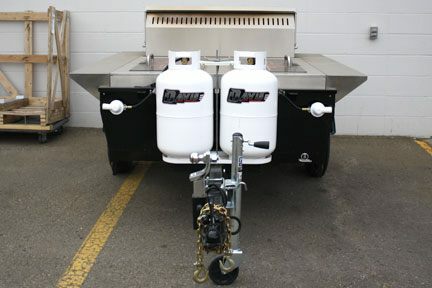 One small way we help out is by providing this awesome trailer barbeque for non-profit events. The BBQ is in high demand during the summer months and available on a first come first serve basis. With this in mind please be prompt with your pick up and drop off times. Please read the general information below as well as the hook up and operating procedures for the BBQ. When done, please fill in the attached form and bring it with you to pick up the BBQ. Sign the form to accept you have read and understood the safe transportation and safe use of the BBQ. 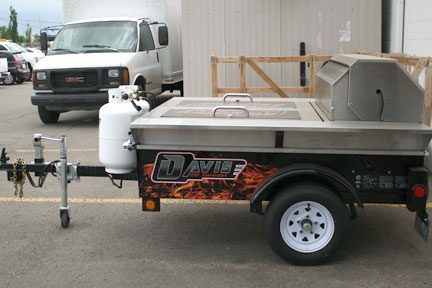 Call (403) 948-6909 to book the BBQ or e-mail info@davischev.com and provide your name, company name and email address. We will send you a return email and information package outlining what you will need to pick up the BBQ. BBQ does not contain supplies, utensils, cups, scrapers, first aid kit etc. Only for use for charitable events at no cost. Pick up and drop off times given must be followed because the BBQ is very busy. For after hour & Sunday pick-up times, you must fax in your rental request form prior to pickup. BBQ will be parked on east lot of dealership. Any damage to the BBQ is the responsibility of the client. Any tickets (parking, speeding) are the responsibility of the client. 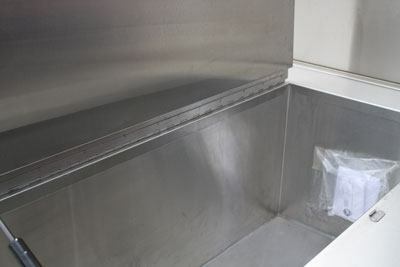 Davis Chevrolet GMC Buick is not responsible for loss or damages to the BBQ while it’s in the possession of the client. 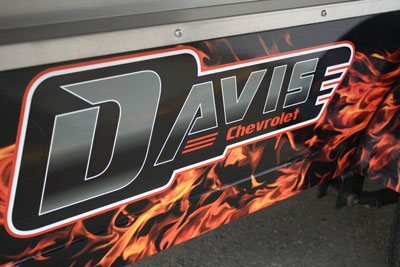 Davis Chevrolet GMC Buick Ltd. has the right to refuse BBQ rental for any reason. 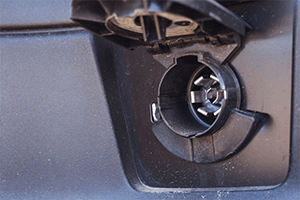 Client must use vehicle specified for towing. ½ ton truck or SUV recommended to haul BBQ. 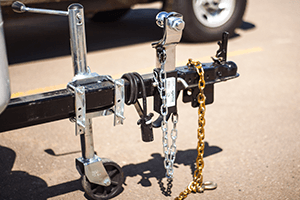 Your vehicle needs a hitch and trailer plug. Ball and receiver are provided with the BBQ. Once close enough, insert ball and receiver in to hitch and insert pin to hold in place. Back up further to align ball under tongue of trailer. 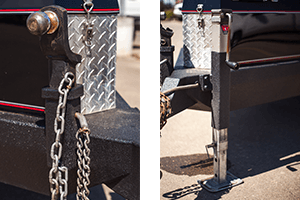 Pull back pin on the tongue of the trailer. 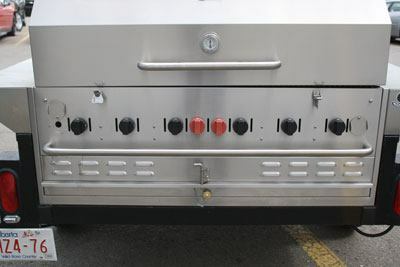 Lower BBQ to ball by cranking the jack counter-clockwise. Push the pin forward again. When lowered on to the ball, continue to crank the jack all the way up. Pull the pin on the extension of the jack and raise it all the way up and secure with a pin. Check signal lights and brake lights. Tow-ball receiver & jack are supplied. When disconnecting, be sure to lower the extension on the jack all the way before cranking the BBQ off the ball. 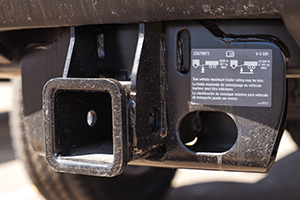 Once the BBQ is lifted off the ball, disconnect plug, safety chains, receiver and remove from your vehicle. 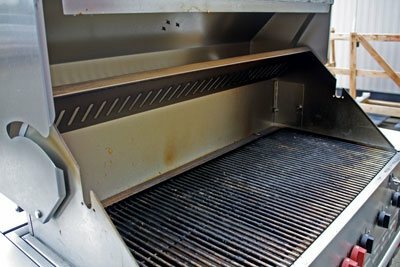 Follow manufacturers guidelines on side of BBQ for lighting. When finished with BBQ, close all valves. PLEASE RETURN BBQ IN A CONDITION READY FOR THE NEXT CLIENT.